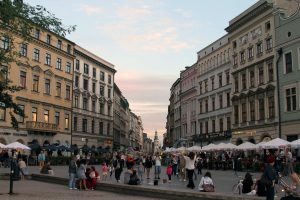 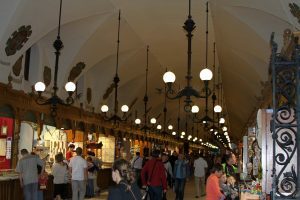 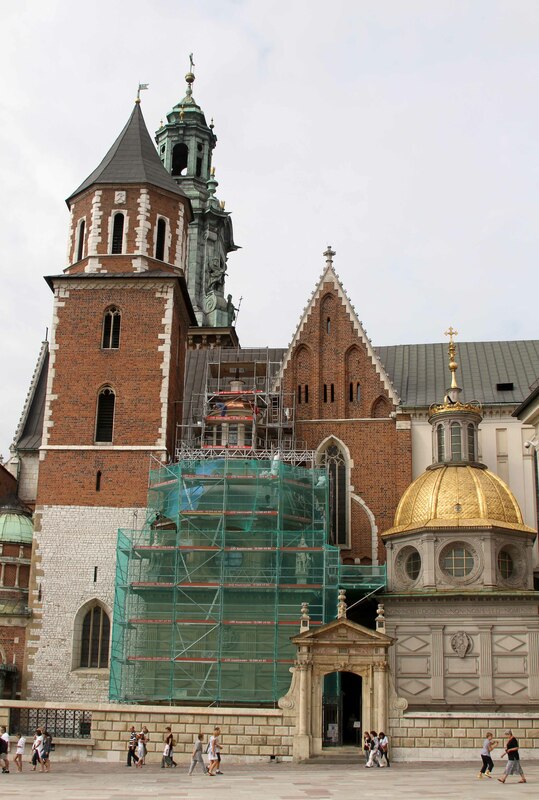 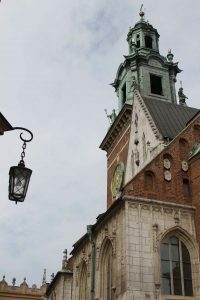 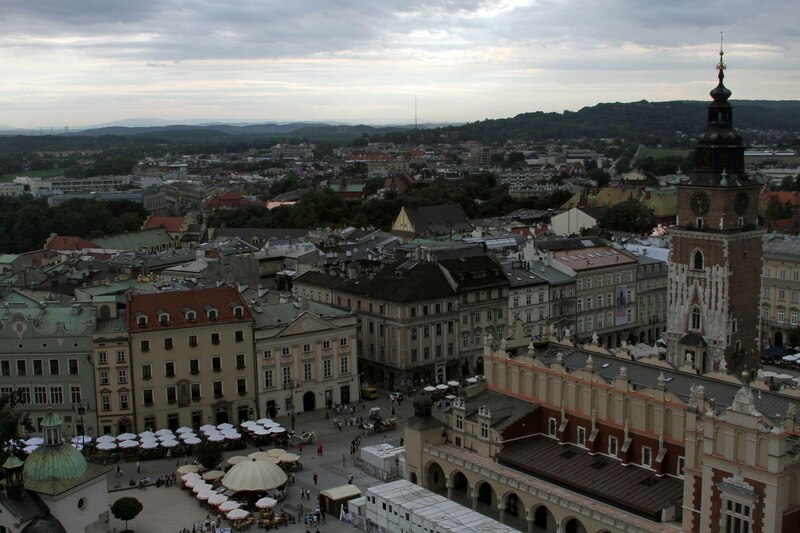 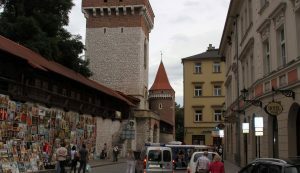 I visited Kraków from 25-27 August in 2010 and what follows are some of the photographs I took while I was there. 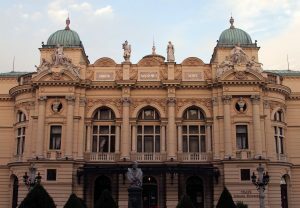 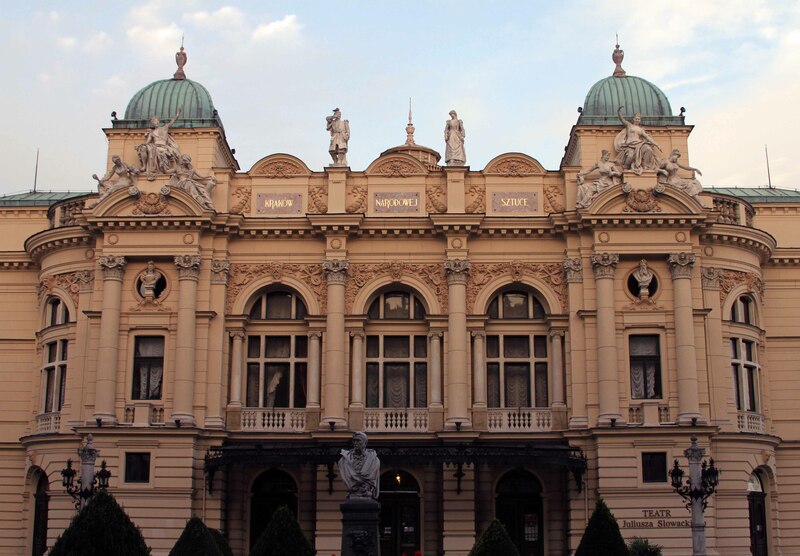 Juliusz Słowacki Theatre in Kraków. 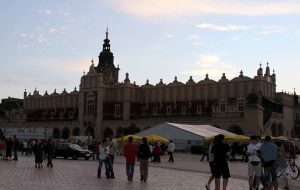 Cloth Hall, the market in Kraków’s Main Square. 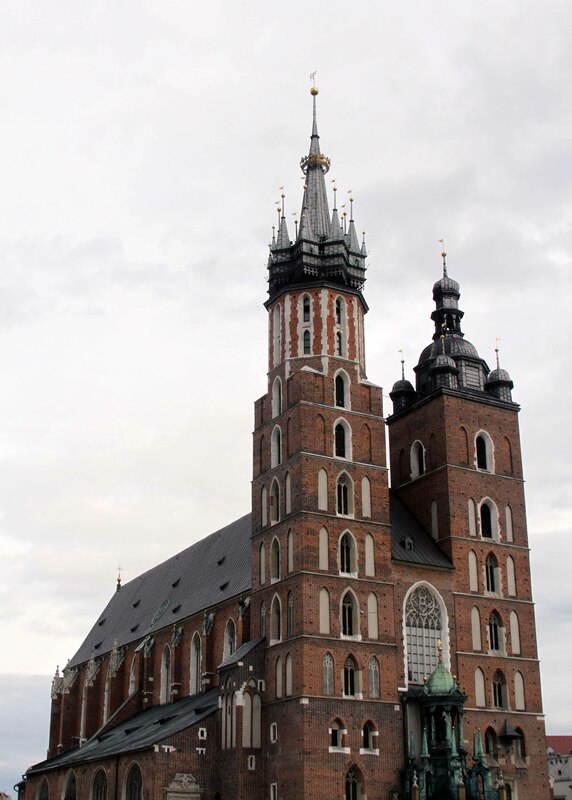 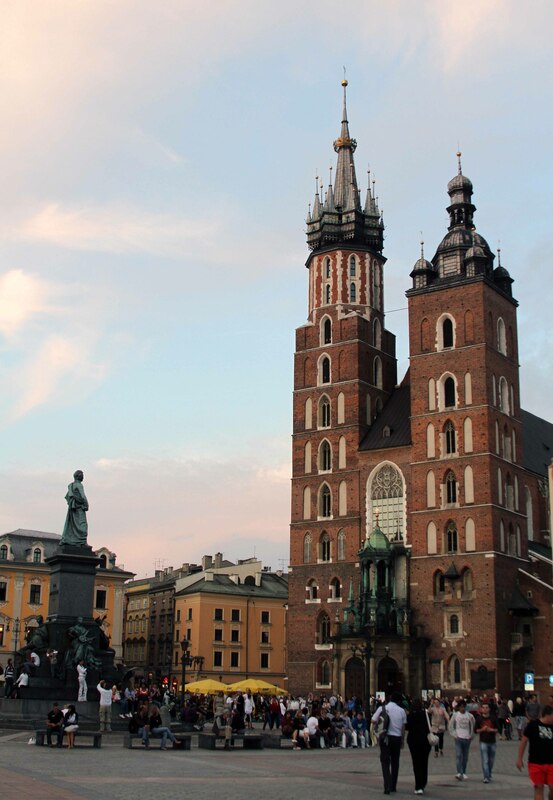 St. Mary’s Basilica and the Adam Mickiewicz Monument in the Main Square. 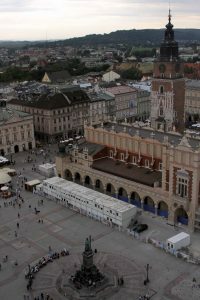 The south end of the Main Square, where it turns into Grodzka street. 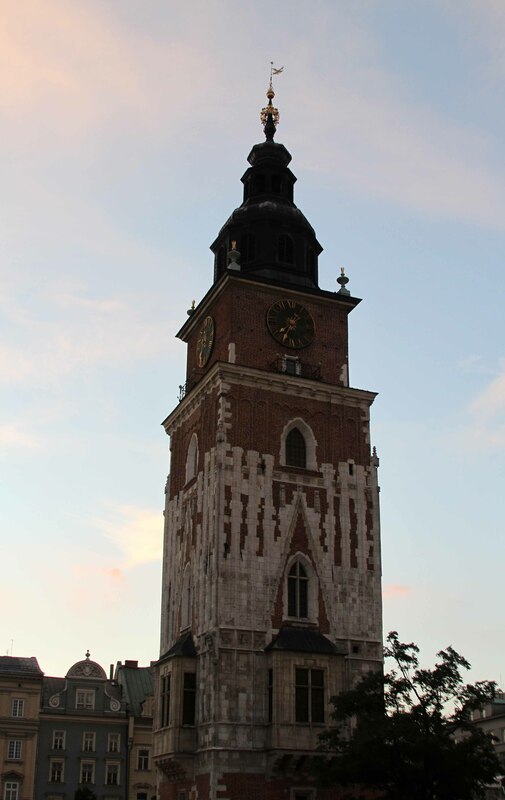 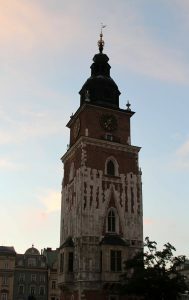 The Town Hall Tower in the Main Square of Kraków. 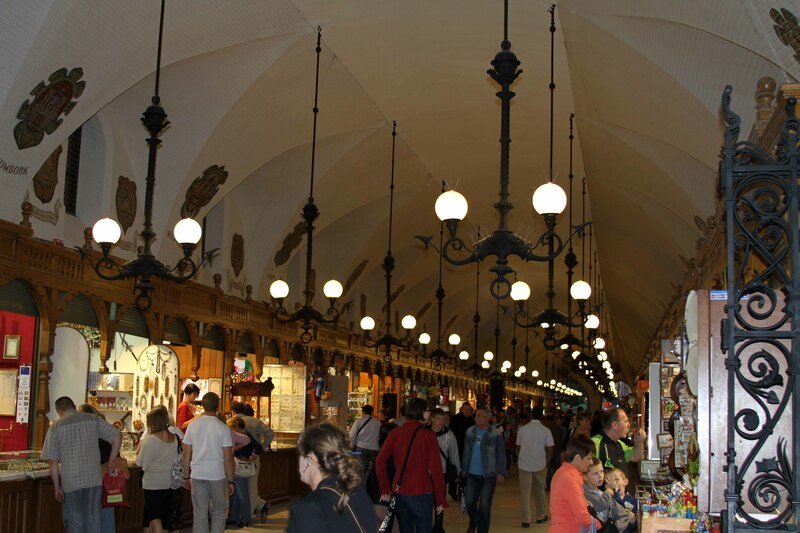 The gallery and shopping stalls inside Cloth Hall. 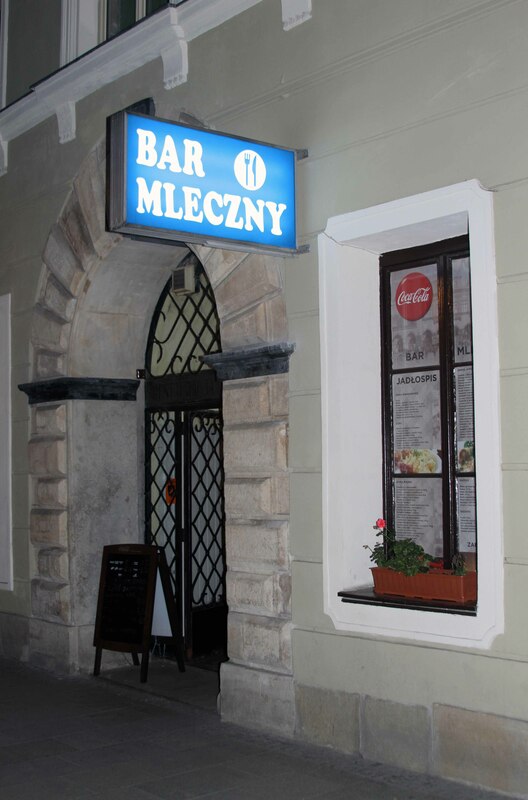 A milk bar in Kraków – a place where you can get milk-plus, milk plus vellocet or synthemesc or drencrom . 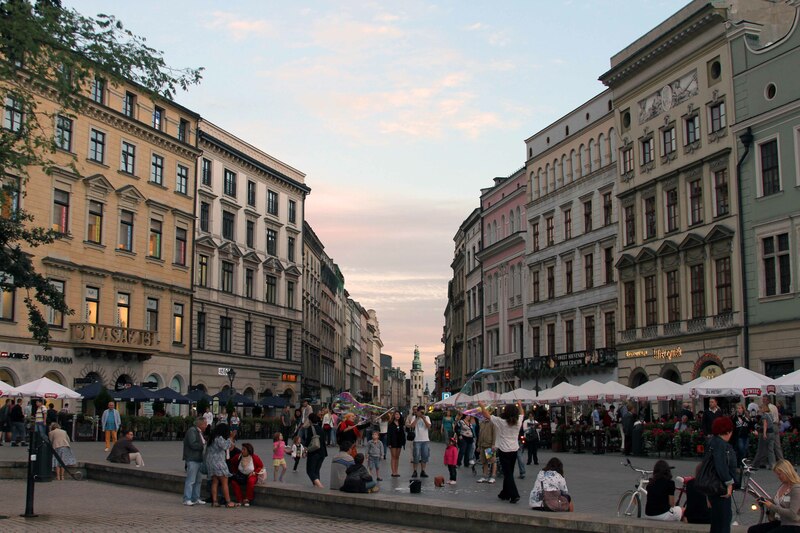 . . or maybe it’s just a place where you can get cheap cafeteria-type food and plain old, regular, boring milk. 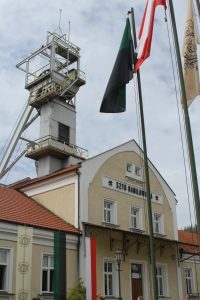 Entrance to the Wieliczka Salt Mine; located in the town of Wieliczka, it lies within the Kraków metropolitan area. 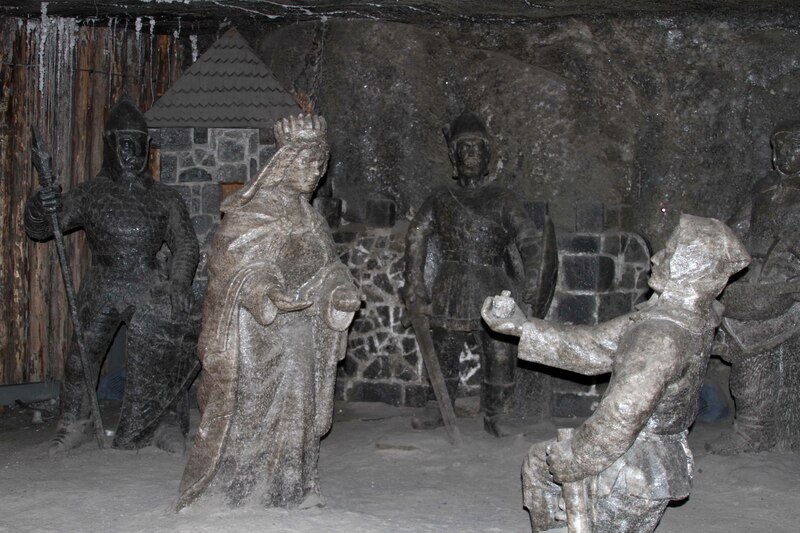 Rock-salt statues inside the Wieliczka Salt Mine. 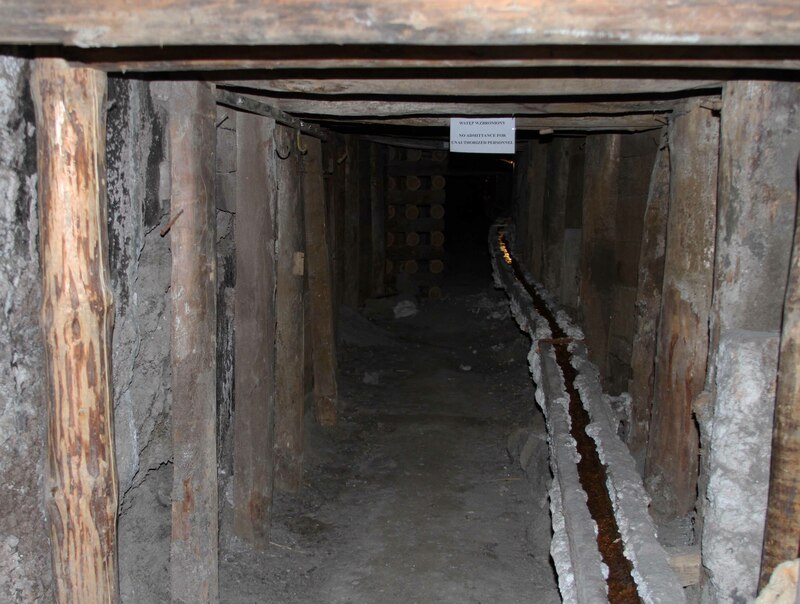 An old corridor inside the salt mine. 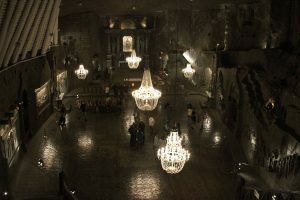 St. Kinga’s Chapel, deep inside the salt mine. 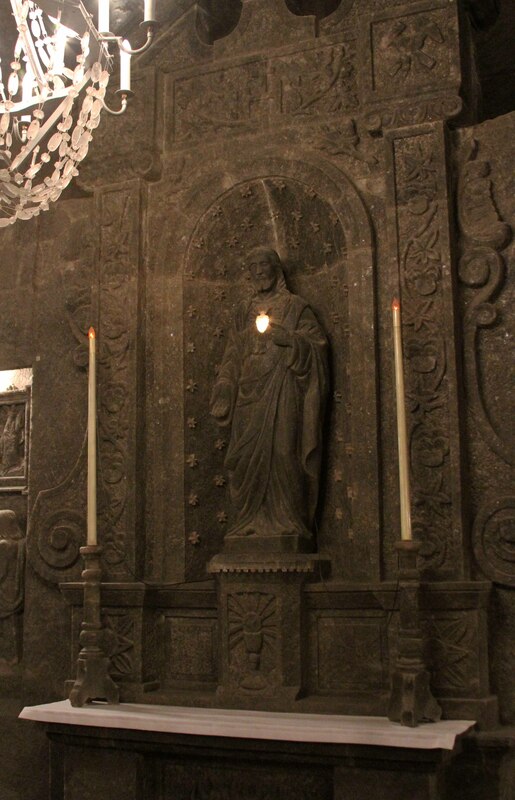 Altar and statue of Jesus Christ inside St. Kinga’s Chapel. 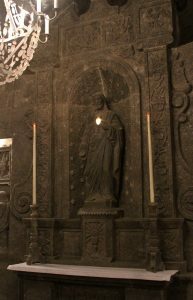 Rock-salt statue of Pope John Paul II inside the Wieliczka Salt Mine. 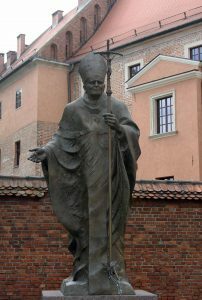 Statue of Pope John Paul II outside of Wawel Cathedral in Kraków. 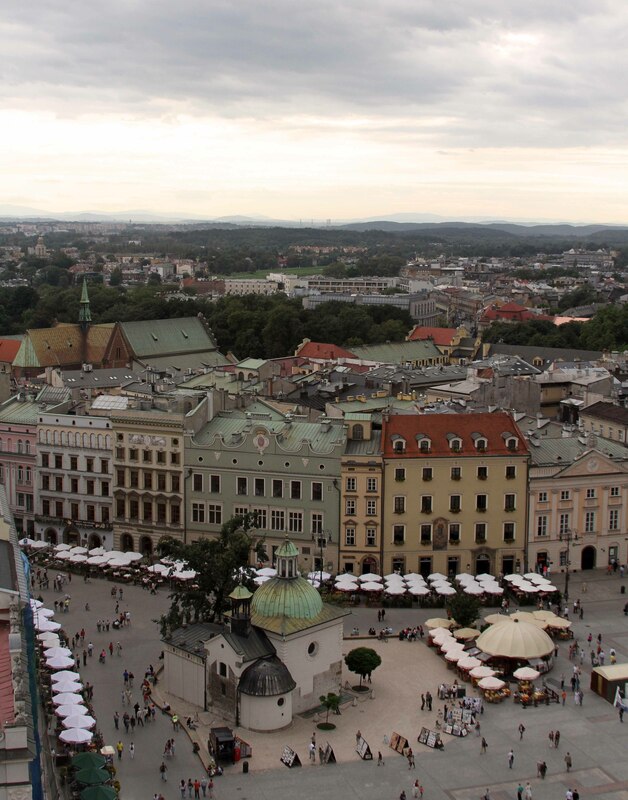 Kraków’s Old Town seen from Wawel Cathedral, which is located on Wawel Hill. 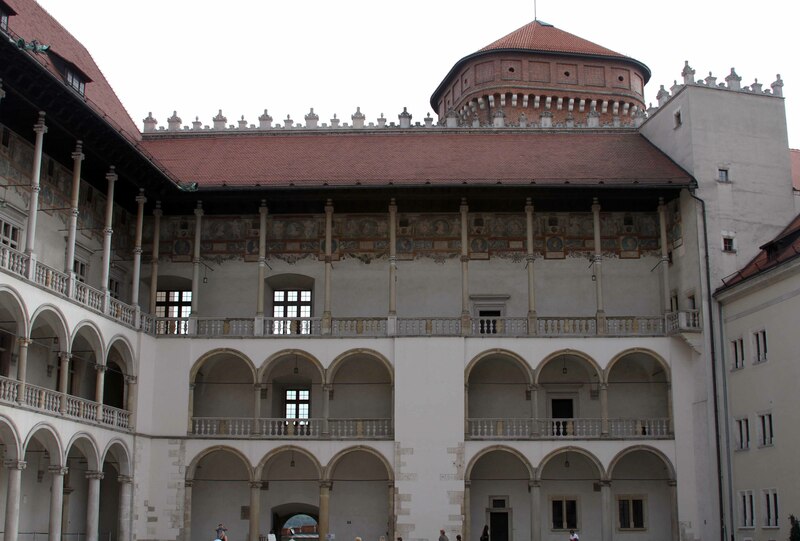 The exterior of Wawel Cathedral, which was founded in the 11th-century AD although the current structure dates back to the 14th-century AD. Looking up at the Clock Tower at Wawel Cathedral. 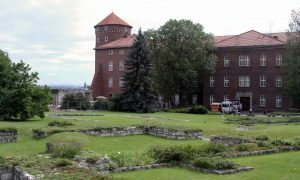 The Old Hospital and conference center on Wawel Hill. 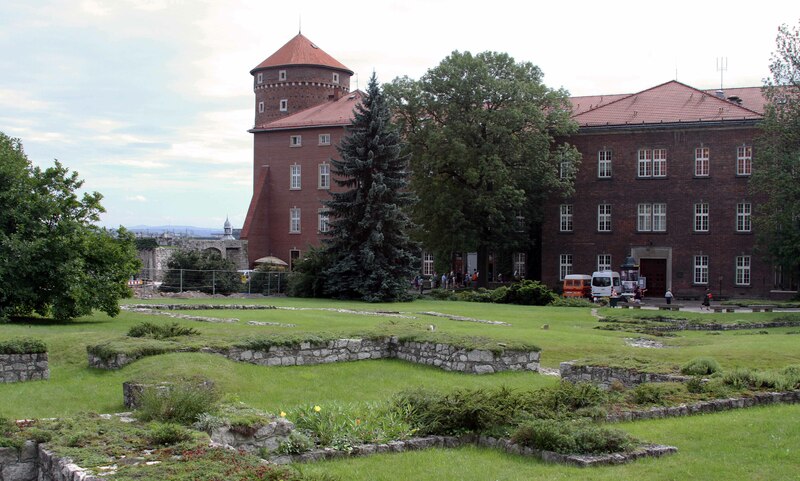 Wawel Castle seen from within its courtyard. 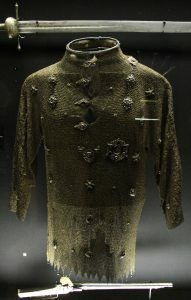 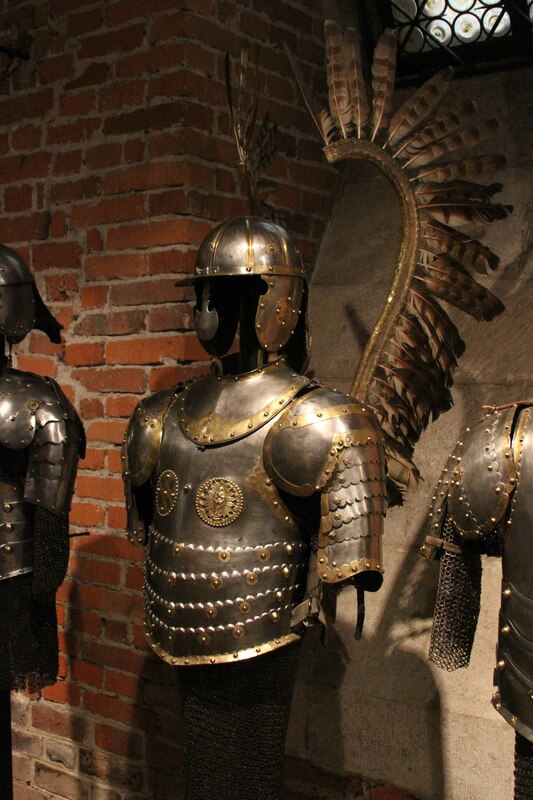 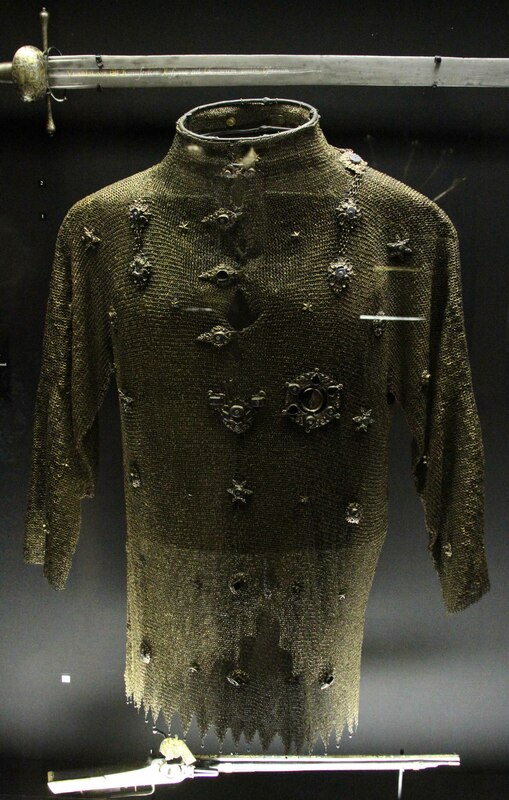 Chain-link armor on display inside the Wawel Castle museum. 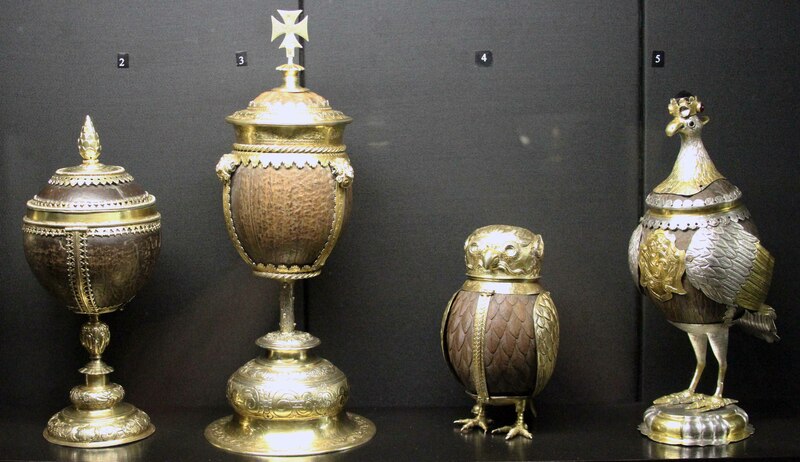 Cups made from coconuts on display inside the museum. 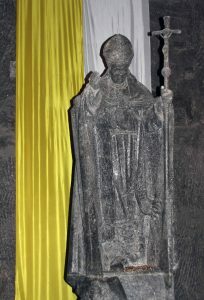 Sword with a two-barreled pistol at the handle. Armor of a Polish Hussar (or “Winged Hussar”), a type of cavalry in the Polish-Lithuanian Commonwealth army during the 16th- to 18th-centuries AD. 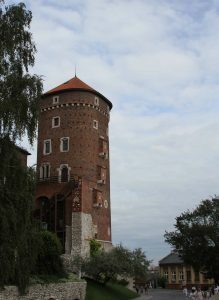 Sandomierz Tower on Wawel Hill. 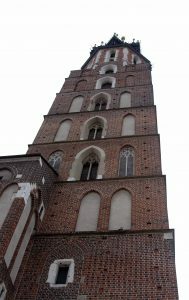 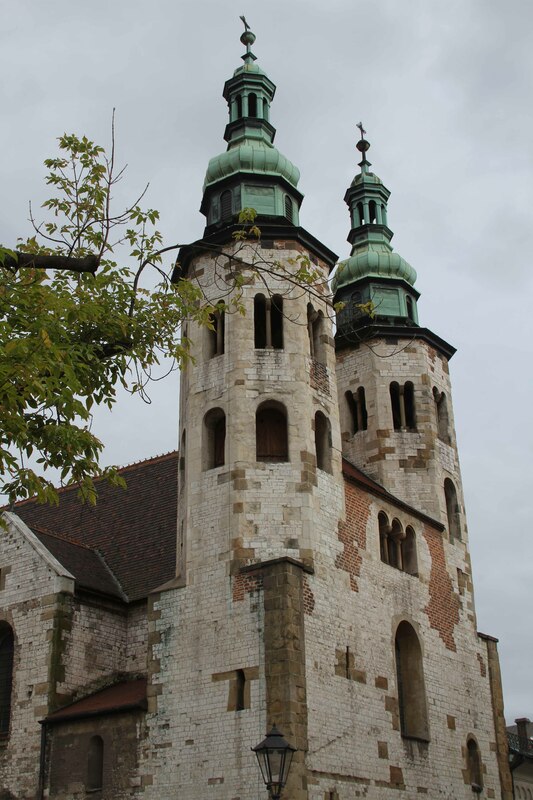 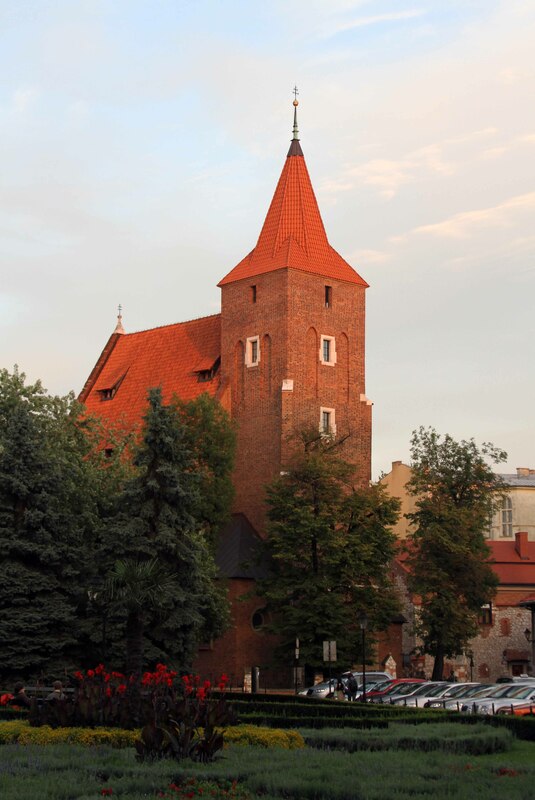 St. Andrew’s Church in Kraków’s Old Town. 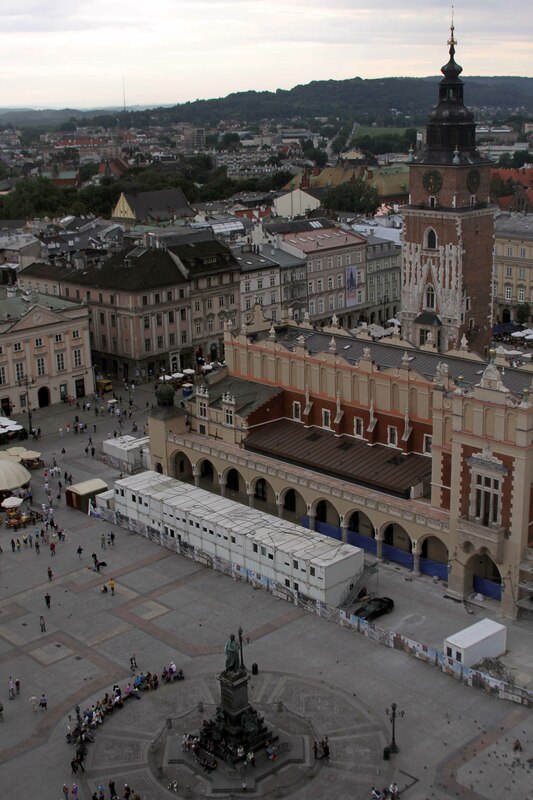 The Main Square in Kraków with the Town Hall Tower and Cloth Hall in view. 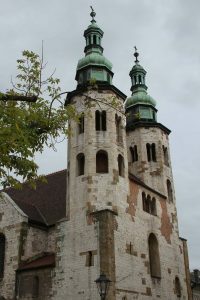 St. Mary’s Basilica, built in the 14th-century AD. An overhead passage between two buildings on Pijarska street near St. Florian’s Gate. 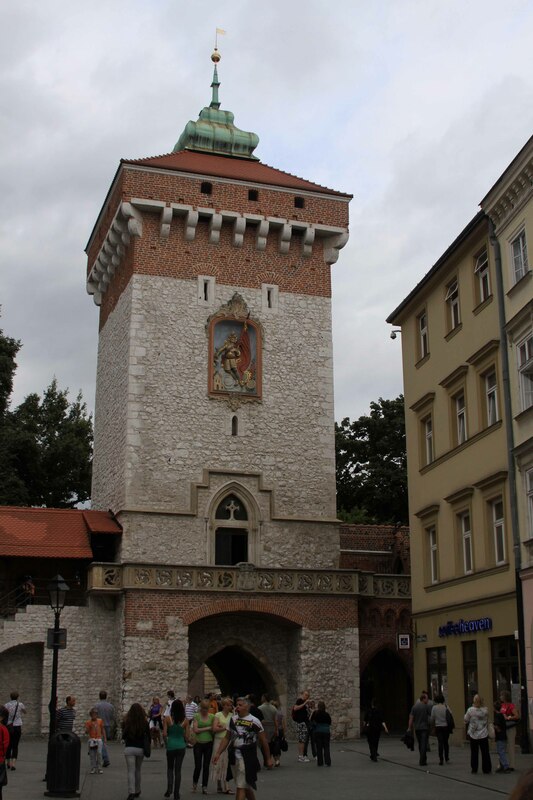 An outdoor art exhibition next to St. Florian’s Gate. 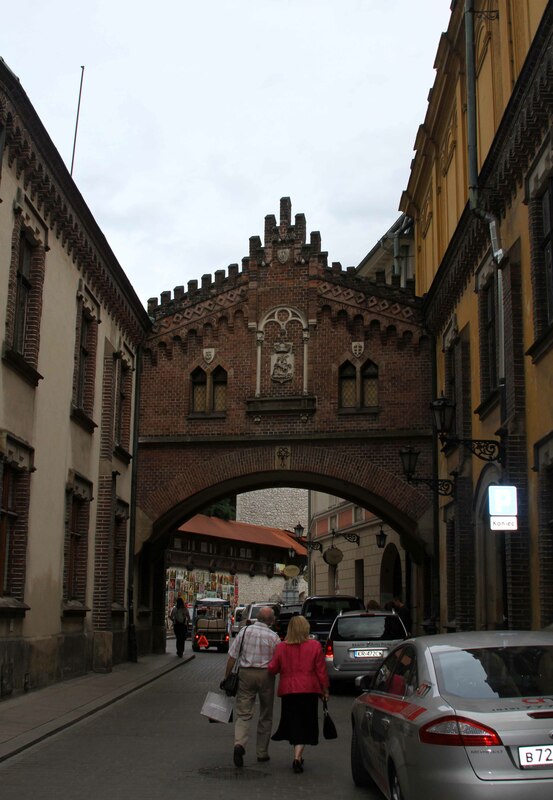 St. Florian’s Gate, built in the 14th-century AD. Looking up at the tall tower of St. Mary’s Basilica. 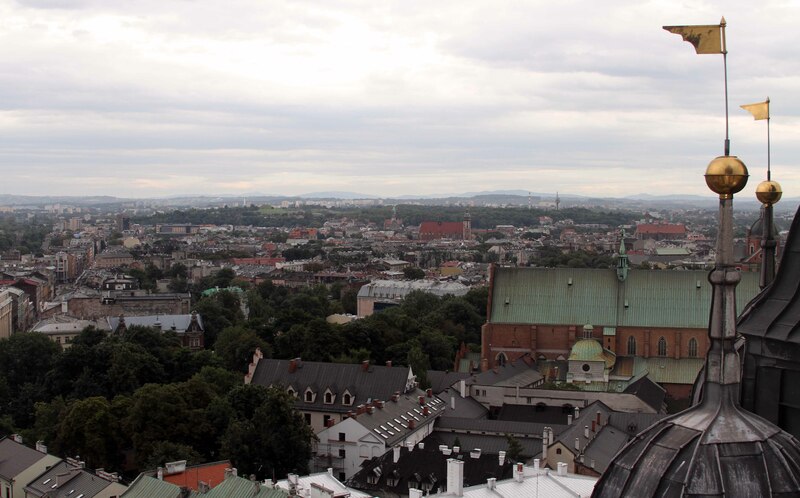 Looking southward from the tall tower at St. Mary’s Basilica. 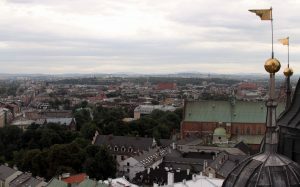 Looking northwest from the tower at St. Mary’s Basilica. The Church of St. Wojciech at the south end of the Main Square. 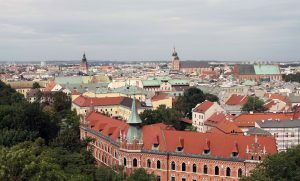 The Town Hall Tower and the Cloth Hall seen from the tower at St. Mary’s Basilica. 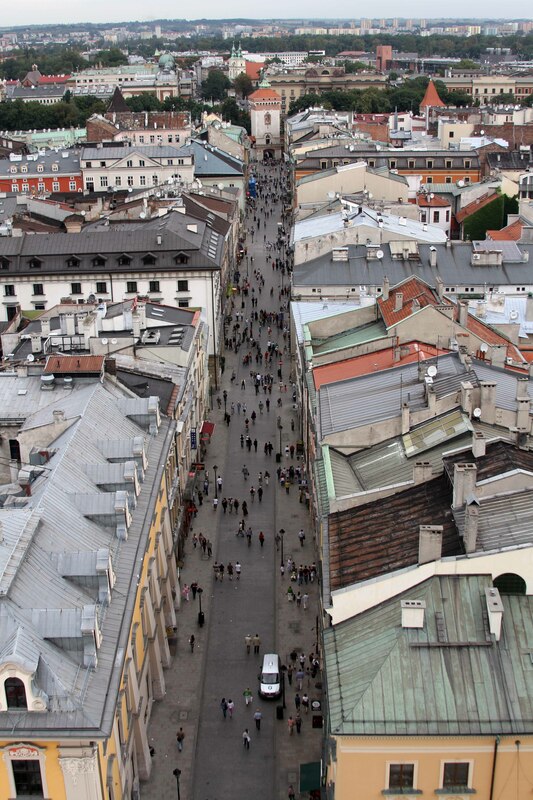 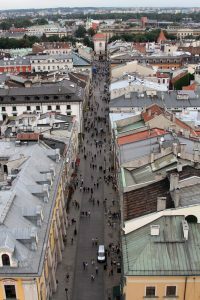 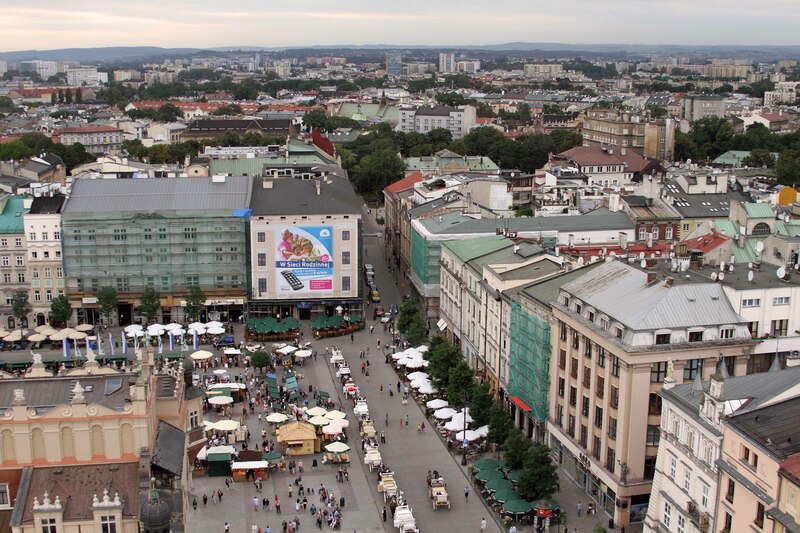 Floriańska street and St. Florian’s Gate seen from the tower at St. Mary’s Basilica. One last view of the Main Square in Kraków with the Adam Mickiewicz Monument, Cloth Hall, and the Town Hall Tower in sight.